Robyn has a deep rooted background in traditional horsemanship and the classic American forward riding system with emphasis on safety, great horse care, dedication, ambition and hard work while not forgetting to have fun with your horse! Robyn has spent over 25 years in the Hunter/Jumper world. As a youth and young adult she showed successfully on the Michigan Hunter Jumper Association (MHJA) and Hunter Jumper Association of Michigan (HJAM) circuits. As well as attending USEF shows in Illinois, Ohio, Kentucky and Florida. She has competed in the Hunter, Jumper & Equitation divisions at the C, B & A (AA) level. Robyn has also ridden under Olympic and international level instructors such as Chris Kappler, Bernie Traurig & Geoff Teal. In 2011 Robyn became one of the few Hunter/Jumper instructors in Michigan to earn her USHJA trainer certification which she maintains yearly. She also regularly attends clinics several times a year with instructors including George Morris, Sari Clapperton, Mark Leone and Karen Healey. In May 2009 Robyn attended a three day long USHJA (United States Hunter/Jumper Association) Trainer Symposium in Savannah, Georgia whos Instructors included Val Renihan, Patricia Griffin and Candice King. In addition to yearly clinics, riding and training client horses and teaching, Robyn also judges local shows in her pursuit of obtaining her judges card in the near future. 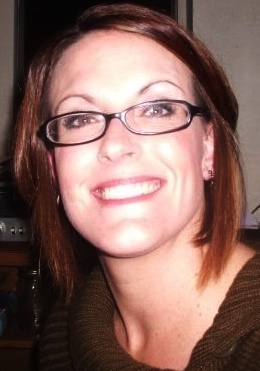 Robyn graduated college in 2004 with a Bachelors degree in Design and Architecture. While attending college she worked as a swim instructor/coach, life guard, assisted with pre-school classes and day camps at the Auburn Hills YMCA & Cranbrook/Kingswood Natatorium. 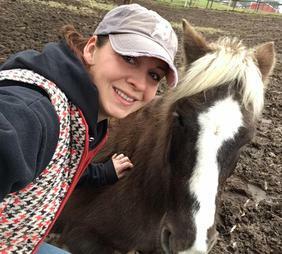 Between her strong background with horses and her work with teaching and kids she is able to provided an excellent learning enviroment for all ages and level of riders. 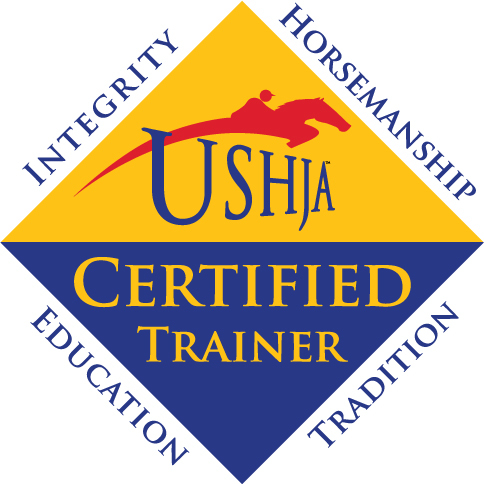 Robyn is certified in CPR & First Aid as well as being a Certified Trainer through the USHJA. Click here to view Robyn's current lesson/training schedule OR Email Robyn! Email Robyn with questions or for pricing. Sara has been around horses since childhood. Growing up in Michigan, she and her mother rode as often as they could at local trail riding stables that are now memories of a time when you could borrow a horse and ride off for the day! Sara currently Manages GES's operation's whether its day-to-day tasks or seasonal duties or big projects Sara is an integral part of the GES family. 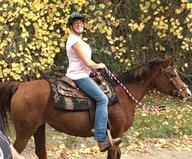 Sara handles our property maintenance, horse care and barn management. She has also started learning about liberty training horses with natural horsemanship to help horses and clients in the barn work on ground skills with their horse correctly. This has brought out the entrepreneur side of Sara as she CEO's the custom rope training halters available via this website. Sara likes to be a "Jill of all trades" and is learning the ropes of every aspect of stable management, horse care, facility management and other avenues that working around horses can offer. Sara is skilled in all aspects of GES and it's operation's including assisting with our shipping and horse transportation. As well as assisting at horse shows. on Brooks continued training and Sara new endeavors. Managing and running a medium size lesson and training barn is hard work and Sara is a great asset to the GES team! Hana has a passion for this sport and loves teaching the future riders of tomorrow. Hana does a great job getting riders started in the GES lesson program whether they are a young rider learning about their pony, an 8 year old that wants to jump or an adult looking to start learning about the joys of riding! In addition to teaching lessons, Hana does a wonderful job programing and runs our camp programs each year. Our Horsemastership program is also organized and instructed under Hana experienced knowledge to feed inquiring minds. Hana also assists with the daily operation's of the barn and the horses care. She feels being part of Great Escapes Stables is an amazing experience, this is the forever home for Hana’s equestrian career! Hana started her riding career in the Hunter/Jumper discipline at the early age of 5. She did extensive showing on the MHJA Circuits here in Michigan throughout her youth on pony's and horses. 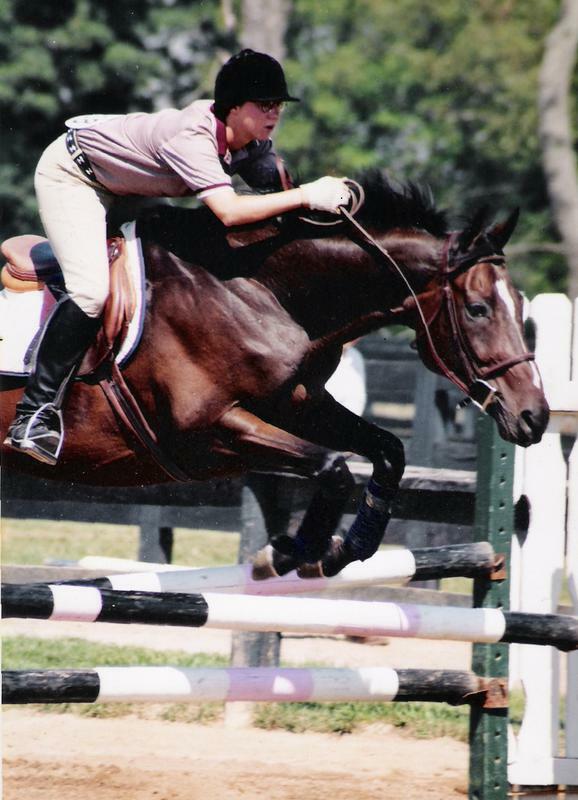 She started with shows at Stoney Ridge (now Woodbine Farms) in Ann Arbor and other MHJA B-Circuit shows over the years. Her equine career expanded with lessons and training in Western, Dressage and Saddle Seat. Additionally Hana has a background in 4-H and has spent time as a Youth 4-H leader. At age 17, she started training horses of all levels and abilities. These horses have gone on to winning at Breed Circuit Show’s and MHJA Show’s. After riding as a junior, Hana's next big step was attending Lake Erie College in Ohio where her degree was Equine Sciences with a focus in the area of Equestrian Trainer & Instructor. While attending Lake Erie College, Hana rode IHSA and IDA Teams and rode competitively at at USEF Show’s. After college Hana continued her education with horses while working in local barns doing everything from barn management and grooming to horse training and teaching lessons to riders of all ages and levels. Hana's horse experience as a youth and adult also lead her to become the Jumping coach for the Milford High School Equestrian Team for several year. Currently Hana is also working towards her USHJA Trainer Certification while continuing her own professional career. Click here to view Hana's current lesson/training schedule OR Email Hana!